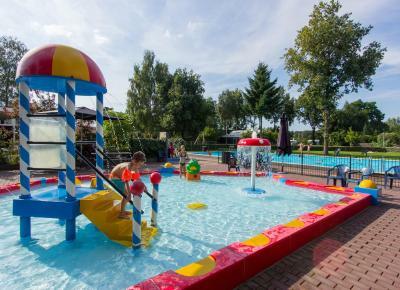 Located within 3.6 miles of Kröller-Müller Museum in Otterlo, Europarcs Resort De Wije Werelt provides accommodations with free WiFi and flat-screen TV. The units have a fully equipped kitchen with a microwave, coffee machine, and a fridge. There's a seating and/or dining area in some units. Hoge Veluwe National Park is 5 miles from the resort village. The nearest airport is Schiphol Airport, 58 miles from Europarcs Resort De Wije Werelt. When would you like to stay at Europarcs Resort De Wije Werelt? This mobile home has a seating area, kitchenware and private entrance. This mobile home features a dishwasher, kitchenware and private entrance. This mobile home has a dishwasher, kitchenware and private entrance. 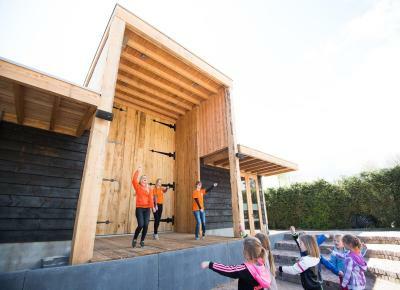 House Rules Europarcs Resort De Wije Werelt takes special requests – add in the next step! A EUR65 damage deposit is required 14 days before arrival (about USD72.82). This deposit will be fully refunded 14 days after check-out, as long as there isn't any damage to the property. ATM card Europarcs Resort De Wije Werelt accepts these cards and reserves the right to temporarily hold an amount prior to arrival. Europarcs Resort De Wije Werelt accepts these cards and reserves the right to temporarily hold an amount prior to arrival. Please note that the property is obliged to only offer leisure stay, as mandated by local government. Roompot Vakanties will send a booking confirmation within 24 hours after booking with information detailed deposit and payment information. After full payment is taken, the property's details, including the address and where to collect keys, will be emailed to you. If the full amount is not paid before arrival, it may happen that your property is no longer available. Credit card information can be asked to secure your booking. These will not be used to collect the payment. Please inform the property when your expected arrival time is after 17:00. You can use the Special Requests box when booking, or contact the property directly with the contact details provided in your confirmation. Please note that the final cleaning is mandatory: an extra fee of EUR 49.95 to 97.95 will apply. Bed linen are mandatory as well; an extra cost of EUR 6,95 per person will apply. Towels can be rent for EUR 5 per person and kitchen towels for EUR 4.50 per package. Please contact the accommodations before your arrival if you want to book towels. Please note that the person making the booking must be 21 years minimum. It is not possible to place extra beds and exceed the maximum capacity of the bungalow. Please note that all potential cancelations should be handled via Booking.com. A damage deposit of EUR 65 is required. The host charges this 14 days before arrival. That's about 72.82USD. This will be collected by bank transfer. You should be reimbursed within 14 days of check-out. Your deposit will be refunded in full by bank transfer, subject to an inspection of the property. We need at least 5 reviews before we can calculate a review score. If you book and review your stay, you can help Europarcs Resort De Wije Werelt meet this goal.